George Scarf was born in Mainburg, Bavaria on 23rd April, 1788. At the age of sixteen he went to Munich to study art. Scarf studied painting and lithography under Professor Hauber. A talented artist, Scarf soon found work producing lithographs for printers in Munich. In 1810 Scarf left Munich and began travelling through France and Holland. He caught up in the Allied siege of Antwerp in January, 1814. He managed to escape and then enlisted in the English Army where he was employed to draw maps, sketches of fortifications and diagrams of troop movements. After seeing action at the Battle of Waterloo, Scarf returned to Paris. In 1816, Scarf decided to emigrate to England. At first Scarf concentrated on political prints and cartoons. He produced pictures of the Spa Fields Riots (1817), the Westminster Election (1818), the Cato Street Conspirators (1820) a portrait of Arthur Thistlewood (1820) and the Coronation of George IV (1821). Scharf began working with German lithograph publishers who had settled in England. This included Rudolph Ackermann, Charles Hullmandel and Francis Moser. This involved the production of a large number of prints and paintings of London. 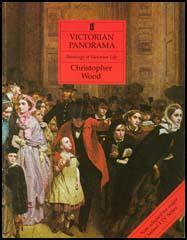 These were mainly street scenes and incidents of ordinary London life. Scharf was especially interested in men at work. Two of his most paintings of this period were Laying a Water-Main in Tottenham Court Road (1834) and Railway Construction at Camden Town (1836). In the 1840s Scharf tended to concentrate on scientific work. His main clients were doctors, naturalists and the Royal College of Surgeons. Scharf's health began to deteriorate in the early 1850s. Unable to work, his last years were dominated by money problems. George Scharf died on 11th November, 1860.